Tarun Gupta August 21st, 2012 Internet Marketing no comments. Lots of people will take up quizzes and surveys. Make sure your survey has an exciting gift or some very valuable information. Quizzes, surveys, blogs and polls have come out as great Internet marketing traps. 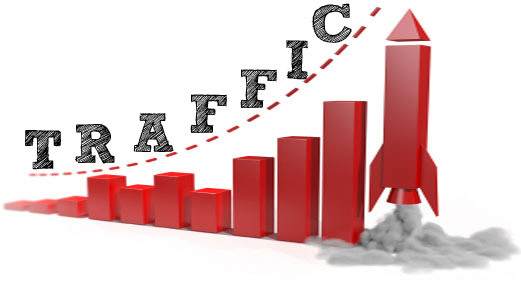 Having a consistent flow of traffic to your website is definitely the most important thing. This traffic includes two types of visitors- fresh and old. Retaining old visitors is even more tough than having fresh visitors. Since they have already checked out your website once, they will come back to your website only if you serve them with better, valuable, fresh content. Internet marketing services providers have discovered some ways through which one can bring quality traffic. Naturally, all these ways require content in some form or the other. Let us now take a close look at these ways. Blog is indeed the most intelligent way of gaining content on your website. Create a weblog or a journal on your website and have regular feeds of content. You can update content on these areas as per your convenience. You may also have guest writers to do this job for you. Human beings love to see fresh content that is engaging, easy to understand and informative. The arrangement will also provide you with a chance to build up your credibility as you will come up as an entity that is offering them the content. Commenting will further boost your chances of having consistent flow of traffic. This is an intelligent Internet marketing service. Like every dress needs accessories to look fabulous, your website also needs some addition to do the magic. Give your website the extended functionality of forums or chat rooms. Forums are the places where your visitors get on to speak about you with their peers, who are also the visitors of your website. With social media services, then idea of communication generates that further helps with community development. Active communication attracts visitors who start following your website on regular basis. To make anything work on the Internet, you need to have content on it. Upload on your website regularly valuable content. Content may comprise multiple things such as images, videos, articles, blogs and podcasts etc. If you can work with content, you can try luck with email marketing, article marketing, press release services and more. The idea is to keep feeding your readers with more and more information. However, you must ensure that your content is valuable and attractive. Also, it should be presented and written in easy to understand manner. Regular updates of fresh content is one of the most essential aspects of Internet marketing services campaign. This attract every human being. Hence, add on your website an exciting poll or survey or simply ask questions. Tell your visitors that you may gauge each one of them personally through these polls and surveys. Quizzes and competitive games are other sources that can help you seek attention from potential people. In order to gain more tips on the same, it is advised to check out latest Internet marketing services. You may also find out some of the Standard SEO plans to understand the game of frequency of various activities. These solutions can be found with any genuine Internet marketing company.